Cystex Urinary Health Maintenance is formulated with multiple powerhouse urinary health ingredients! 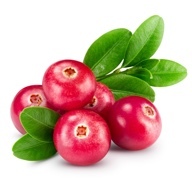 Cranberry: Anti-adherent, Antioxidant. * Research shows that components found in cranberry may help prevent bacteria, such as E. coli, from clinging to the cells along the walls of the urinary tract and causing infection. Findings from a few laboratory studies suggest that cranberry may have antioxidant properties. Vitamin C: Antalkaline, Antioxidant. * Vitamin C is thought to have an effect in UTIs by acidifying the urine. Making the urine acidic can help keep bacteria down. Vitamin C also acts as an antioxidant, helping to protect cells from the damage caused by free radicals. D-Mannose: Anti-adherent, Prebiotic. * Research suggests the supplement stops certain bacteria from sticking to the bladder walls. Some scientists think that the bacteria stick to the natural sugar instead. This helps bacteria leave the body through your urine. Some studies suggest D-mannose may play a useful role as a prebiotic that may help by stimulating the growth of “good” bacteria. Bromelain: Anti-swelling agent. * Bromelain is a proteolytic enzyme thought support the body’s reaction to inflammation; bromelain seems to help the body to produce substances that fight swelling. FOS (fructooligosaccharides): Prebiotic. * Help stimulate the growth of nonpathogenic intestinal microflora, which are the “good” bacteria; fructooligosaccharides move to the large intestine to stimulate the production of microbiota in the colon and gastrointestinal tract. Microbiotas are “friendly, beneficial” bacteria that produce essential nutrients; prevent overgrowth of infectious organisms; boost intestinal immunity; and prevent inflammation. Cystex Urinary Health Maintenance is lactose- and gluten-free and is just one calorie per tablespoon. Cystex Urinary Health Maintenance is available at retail locations nationwide and online.